If you browse the internet at all, there’s a really good chance that you’ve already seen Budweiser’s nod to Wade. It might be the best produced piece of branded content we’ve seen in a long time. Grab some tissues and watch. Budweiser nailed this piece. In a time when so many don’t get branded content right, they delivered a few powerful lessons. First, like everything, branded content is about the concept. If you want branded content to have a one single chance of making an impact, you have to nail the concept first. Consumers don’t care about the vehicle for content as long as it’s interesting, useful, relevant or entertaining to them. If you can provide some kind of value then you’ll get a chance at their attention. Budweiser’s piece for Dwayne Wade was an incredibly powerful concept. I’ve never seen so many tweets about the fact that a branded piece of content made someone cry. And, that’s exactly why it worked. The concept was powerful enough to move people, thus generating buzz for both Dwayne and Budweiser. Focus on nailing the concept before anything else. Second, branded content can’t be selfish. Too often branded content becomes about the sponsor; slap a logo here and slap a logo there all for the hopes of gaining some eyeballs. Consumers see through partnerships that are not thoughtful, so slapping a logo on a piece of content is a loss for everyone (the brand/athlete, sponsor and fan). Budweiser didn’t worry about elevating themselves. They focused on elevating Wade, the athlete they sponsor. The concept was inspired solely by Wade (and as a human not player), and because of that, felt extremely authentic to the audience. Sponsors can’t get selfish with branded content. You have to understand why you partnered with a brand or athlete and leverage them as a vehicle to reach an audience. If the content becomes all about the sponsor and not relevant to the partnership, then content will fall flat. Good branded content cannot be selfish. Period. Third, the execution can’t be in your face. If you have a great concept that elevates the partnership (isn’t selfish), the next key is to execute seamlessly. In the Budweiser piece, you don’t even see a Budweiser logo until more than :30 seconds into the piece (& the logo is in the background of signage at the arena). The subtle nature allows the consumer to connect with the message vs getting turned off that it’s a branded content piece. Too often I see sponsors trying to force the message. Even if the concept is strong, 20 logo hits, branding within the first second and a tag in the photo and a mention in the copy will hurt the delivery. Too often by the time a piece gets shared, the message has been muddled and the content looks like an advertisement in Times Square. Don’t take away from a strong concept by trying to force the branding. As we saw with Budweiser’s piece, if you nail the concept and the delivery the impressions and chatter will take care of itself. Sports teams often operate with smaller resources and budgets than big brands. It’s not always easy to execute on everything you want and do it extremely well. The Miami Heat though delivered across the board. Below are just a few of my takeaways from what they produced. First, they delivered on good old-fashion storytelling. The Heat’s “Act 3” piece was an incredible example of storytelling done right. They didn’t try anything fancy or over-complicated; they just delivered on Wade’s incredible story chapter by chapter. Breaking down Wade’s career in three acts was incredibly powerful. It’s a concept that has been relevant in storytelling for ages but also relevant for Wade. In a day and age where we sometimes get distracted by fancy and high production value, the Miami Heat proved with Act 3 that it’s more about the heart of the story. Wade’s story and career didn’t need any flare added to it; the story in itself covered all of that. If you can deliver telling a story well (and in a way that is easy to follow), you’ll deliver for your fans. Second, they brought in voices that matter. The Miami Heat did a great job bringing in voices that matter to Wade’s story. From the piece featuring his son to the appearances that were made in the Act 3 piece, the Heat drew from collective voices that were part of Wade’s journey. When looking for angles for content, new voices can play an important role. It’s important to make sure that stories aren’t driven from one point-of-view. Tap into everyone who made the moment, the journey, the rewards, the struggles that much greater. Sports are a collective thing; leverage that. Third, they tapped into emotion. I believe emotion is the most powerful tool we have in marketing. It’s what connects people, draws them in and makes situations, people and moments relatable. The Miami Heat delivered on the emotional piece. Look at the comments from their content and all you’ll see are responses like “who is cutting the onion”. We’re in the business of understanding people. Our job is to evoke something in them. Make them laugh, cry, cheer or even question. Emotion is the most valuable tool we have. Tap into, like the Miami Heat did. Gatorade has always been a brand that has showed up big in moments around their athletes. And, this moment was no exception. To honor Wade, Gatorade enlisted John Legend to tell the story of the impact he made on and off the court. First, this was as original as it gets. Having John Legend right a tune for Dwayne Wade was as original as it gets. There was no chance that another brand was going to have something similar. I love that Gatorade enlisted a creator to commemorate this moment in a way that no one as can. Originality always wins. Second, they did something different. This piece from Gatorade was a little different than other tribute pieces they’ve done, and I like that they took a creative risk. It’s not an overly-dramatic anthem spot. It’s a catchy tune that tells the story of Wade as a person and player really well. It’s would be easy for Gatorade to constantly fall back on what has worked in the past, but they seem to be a brand that is willing to try new things, test new territories and constantly wants to show up well in big moments. We could all take a lesson from Gatorade in stepping outside our creative box a bit and trying something new. Not everything will always be a home run, but you learn valuable lessons along the way from testing, creating, trying and evaluating. Don’t be afraid to do something completely different. Moments like these are when teams, brands and sponsors are at the top of their game. Whether it’s delivering an emotional video or creating something completely original, there are so many things to takeaway. What stood out to the most to you? There is one thing in digital I will advocate for until the end of time: Putting your strategy and approach to paper. Yes, I know that this industry is fickle. Yes, I understand that platforms change. Yes, I know that teams have to be nimble. But no, that does not take away from the need to put your strategy and vision to paper. Too often digital is the wild, wild west. The voice, tone and messaging feels aimless and disconnected from the brand’s DNA. There’s pressure to resort to gimmicks for vanity metrics. Teams do a lot of “stuff” without understanding the why or the ROI. In the end, digital without purpose will never get its due. If you work in digital, the best thing you can do is take the time to define what you do and why. Pull yourself away from the tactics. See the big picture. Play the long game. Define how digital impacts what matters to the organization. Put the vision to paper. And, focus your energy there. It can be hard to pause, stop and think in an industry that is constantly moving and changing. But that’s an excuse to play the short and easy game, not the long game. If teams don’t stop to reflect and define, they will be in a constant churn of testing and trying without truly understanding the why. This fly-by-approach can amount to small wins but not much else. First, putting your strategy to paper gives the work purpose. It starts with an understanding of your organizational goals and cascades off of that. Social is meant to be fun, yes, but more than that we’re in the business of driving results (whatever that is for the org). The priority should be on the business first. If your team does not have a clear understanding of what matters to the organizational, then they’ll be aimlessly clicking, posting, tweeting, and facebooking on the internet all day. They’ll end up bogged down in a bunch of tactics that don’t truly impact the business. Putting a strategy to paper gives teams a guide and North Star. It allows them to prioritize their energy on what matters and avoid the endless traps and distractions that come with working “on the internet”. When teams have purpose, they feel empowered and values. Make the work matter. Additionally, if you put your strategy to paper and get buy-in from the top, it helps you push back when things don’t make sense. It lessens fire drills. Helps drive projects forward. And, allows you to say no where needed (but not just for the sake of it) because you have a reason for being. Finally, putting a strategy to paper helps you champion for the work of the team. If the plan cascades off of organizational goals and you’ve gotten buy-in from leadership, then the work has a reason for being. Knowing your why is a powerful tool for giving digital its due. When you can say the plan impacted x, y and z you’ll be more likely to get more resources and have team members rewarded and recognized. If you want digital to get its due within an organization, put things to paper. This doesn’t mean everything is written down. It’s about the vision, the objectives, the high level plan and mapping back to org goals. It’s about the long-term play and not what will change in the day-to-day. Once your team has a strategy and vision down, put together a one-pager and pass it around (like this very rough example below). Evangelize the work and vision. Make sure people understand how digital is impacting the business. Our jobs are a lot more than likes and retweets. Prove it. It’s no secret that I’m a devoted, crazy and loyal Auburn alum. 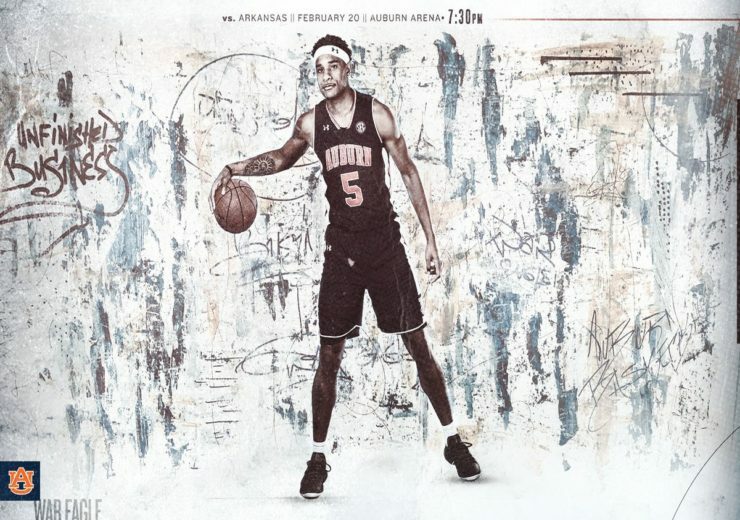 And while I try my best to stay neutral on this blog, it’s time I give Auburn basketball some much-deserved love. 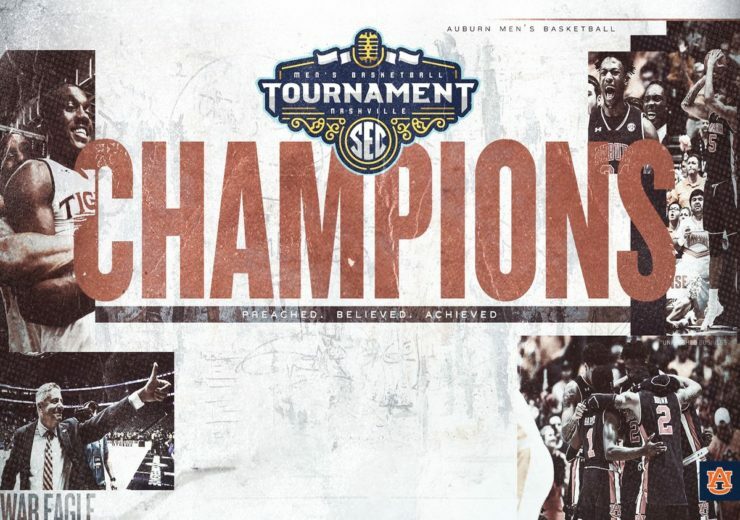 As a program, Auburn Basketball has stepped up in every way. From elevating their play to rallying people on campus around the program, everything has been taken to another level. Digital included. This blog, of course, tackles some of the digital piece. On the digital side, their team has been thoughtful about their message and executed seamlessly from a distinct visual identity to epic video content. What stands out the most though is how they own their story. Below are a few highlights and takeaways from Auburn basketball on how to own your story like no one else can. Auburn had a strong 2018 season, but it left more to be desired. The marketing team at Auburn recognized that. And, they weren’t afraid to play into it, crafting a narrative around the idea of “unfinished business”. 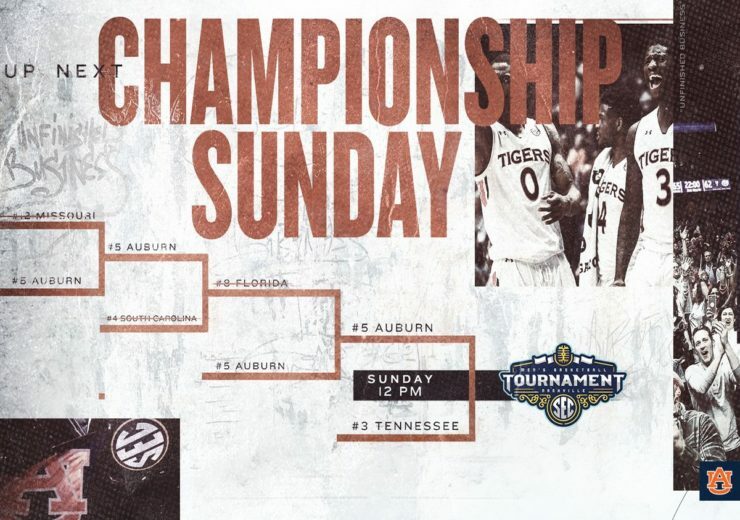 This narrative allowed Auburn to create a story arc throughout the season and gave their content purpose. Each piece was a chapter in their story filled with the highs and lows. That’s incredibly powerful. Every team should be asking, “what’s our story and how can we own it?”. Define your narrative. No, that does not mean a new hashtag. It means finding your sharp point that guides your creative, content and makes your POV unique. Your narrative can be inspired from a variety of places whether it’s the team’s personality, fan expectations, the past season or something rooted much deeper in the brand’s DNA. Find that big idea to rally around. Create some tension. Make your content ladder back up to the broader idea. 2 – Own your visual identity. There is no arguing that Auburn’s look and feel is literally one-of-a-kind. If you scroll through your feed and see one of their graphics, you instantly know it’s theirs. There’s equity in that. In a sea of sameness, strong visuals help teams stand out in-feed. Don’t just create a look and feel that is strong. Create one that is ownable and instantly recognizable. 3 – Don’t shy away from the journey. 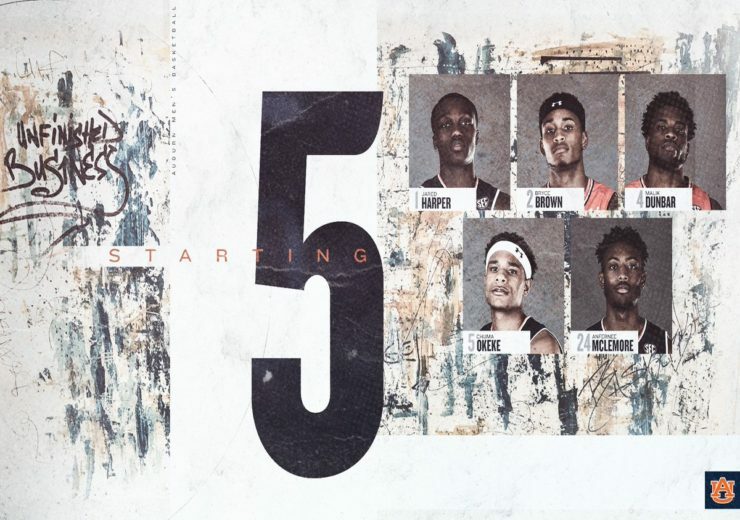 Auburn’s basketball video content is some of the best around. Period. They have incredible access to the team, a cinematic style of shooting, brilliant editing and perfectly picked music. The content pulls you in, gets you hyped and makes you feel part of the journey. While there are a million takeaways from their video production, one of the things I appreciate most is they don’t shy away from the hard times. Throughout this entire season they have let fans in. Their digital team has chronicled the highs and lows, the “tough love” talks and the “on top of the world” talks. They have given fans an incredible look at the team’s journey. And, it’s made the destination that much more rewarding. Words won’t do Auburn basketball’s video content justice, so just watch some of the goodness. Think about all the breadth and depth and how much they’ve let fans in. Sometimes in sports, we shy away from the hard times completely. I get that we never want to put the team in a bad light, but there’s more to the story then just the wins. Tension and owning the lows, when done right and thoughtfully, is incredibly powerful. 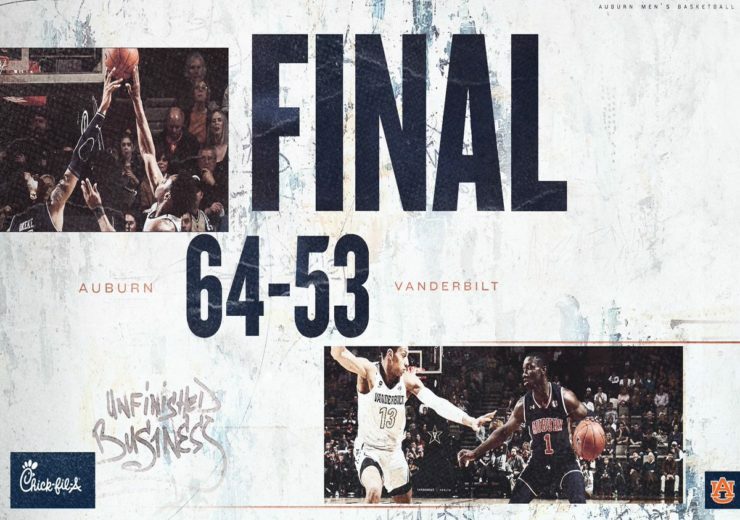 The fact that Auburn chronicled the highs and lows made the team more endearing, relatable and easy to root for. Our jobs aren’t to just celebrate the highs but also celebrate the journey. Auburn is a great example of how to cover the tough times and do it well. The arc of the highs and the lows helped their fans build a personal relationship with the team. It pulled them in. Made the team feel human. And, it gave fans an extra reason to care because they saw the struggles as well as the highs. I understand that “celebrating the journey” is nuanced and complicated, but it’s important to think through it. Some transparency, tension and owning your story builds empathy and a personal connection. After all, isn’t everything in this life filled with highs and lows? Don’t be afraid to own the full story in a way that’s right for your brand. 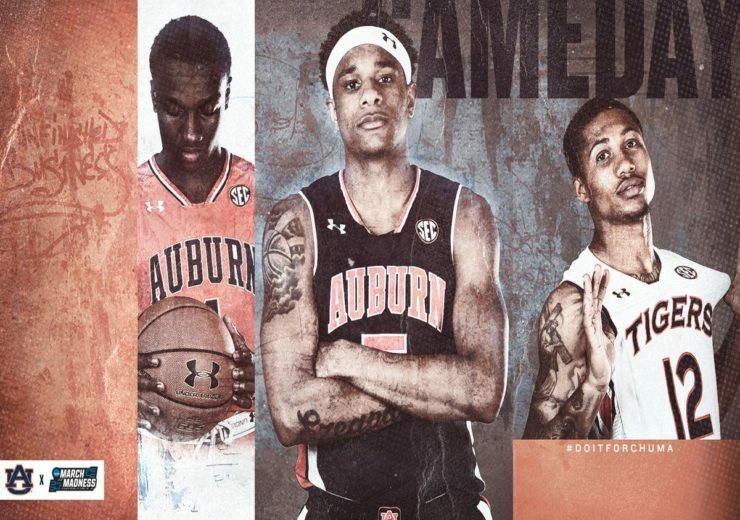 Auburn basketball’s digital presence is a powerful example of how to own your story. From crafting their narrative to a distinct visual identity and telling their complete journey, their team has left zero holes in their story. It’s a powerful lesson for us all in owning and our brand and our story like no one else can. It’s easy to look at things one dimensionally in sports especially from a marketing/content perspective. Too often content is tied solely to everything that surrounds the game. Wins and losses, highlights and reels, previews and recaps. There’s nothing wrong with focusing on the game, after all, that is a team’s product at the most basic level. It should be a focus (of course). It’s not the only thing a team should focus on though as the product is so much more if you look beyond the surface. Understanding what a team offers beyond the score takes a franchise or program and turns it into a brand. It is those defining characteristics that draw people in and keep them there through the highs and lows year after year. Going beyond the game with content is important because it’s a long-term build. It’s not about the current season, it’s not about driving butts in seats and it’s not about the flavor of the week. It’s about the long-term play of taking your team from a franchise to a brand. One that people feel connected to when the team is winning and when they’re losing. It’s about brand building. Because of the fast-paced and cyclical nature of sports (and lack of creative resources), it can be hard to go beyond the game. It takes an understanding of what the franchise represents. It takes focus and planning. And, it takes a commitment to make sure the pillars that represent the organization outside of the game come to life. The best way to ensure that content goes beyond the game is by putting things to paper and executing on the vision. As you map out a content strategy, your content pillars are the biggest key to making sure that you have breadth and depth. Content pillars are the topic buckets for your content. It’s your thematics. They’re the heart of the matter, really, and should ladder back to organization goals. Every content pillar should convey a message that is important for your team, league, program or brand. Note – Remember that content pillars are part of a larger strategy. They’re a tiny piece of a bigger picture where goals, audiences, tone/voice, etc. are defined. Here’s an outline of the pieces of a content strategy. Success, both on and off the field, is a core value of Auburn Athletics. 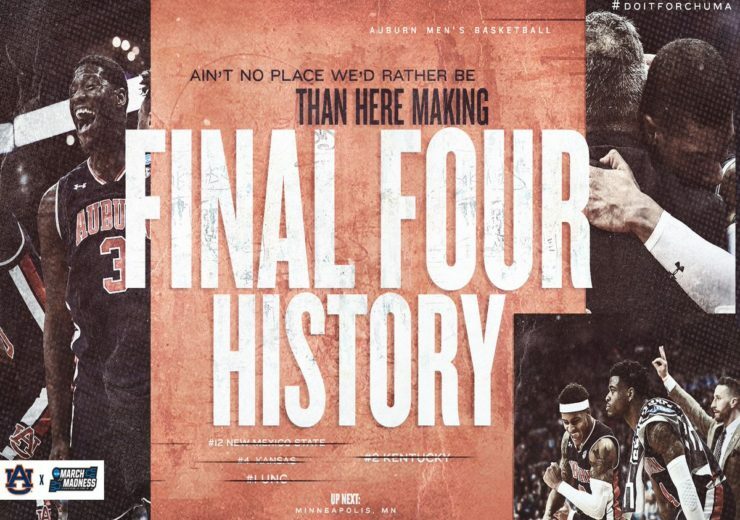 It’s inspired by part of their mission (again, mapping everything from the top): To educate its student-athletes, and to win championships, thereby bringing credit to Auburn and its people. Content under this pillar would celebrate the success of Auburn athletics, current students and alumni, both on and off the field. It’s a pillar that would seep into the gameday performance more than the rest, but it also defines success way beyond the game. Auburn University is steeped in tradition, passion and spirit. It’s a hallmark of what makes Auburn and the gameday experience so special. From rolling Toomer’s Corner to greeting people with War Eagle, these traditions are something that only Auburn can own. Content under this pillar would focus on bringing to life the unique traditions that are distinctly Auburn. There are so many creative options for bringing this pillar to life, whether it’s illustrating the myth of how these traditions came to be or offering a unique first-hand perspective on what it’s like to experience a tradition for the first time. The opportunities for creativity are endless. This is going to sound cheesy, but Auburn really is about family. There’s something unique about the connection people develop to the University. It’s not just a school; it’s a place that instills in you a sense of community, respect and commitment. You can go almost anywhere in the world wearing an Auburn shirt and be greeted by a War Eagle, followed by a wonderful conversation about what the University means to you. This content pillar would celebrate the deep connection student-athletes, coaches and fans feel for the university. Most likely it would lean more into human interest piece and bring to life the idea of the Auburn family supporting one another, always. The Auburn Creed has long been a source of inspiration to the Auburn Family. Words for which to work and live by. It’s about hard work, knowledge, honesty, integrity, compassion and attacking life with a spirit that is not afraid. Content under this pillar would bring to life the Auburn Creed, showcasing the values that make up the university and athletic program. From an athletic department standpoint, it could be about showcasing what it takes and means to be a student-athlete at Auburn. So for example, if the football program has hype content that shows the work leading up to the season, it’s making sure the creative execution plays into the idea of the Auburn Spirit, the Creed and the program’s values. It’s about having a really sharp point with the lens and the message. Once you define your pillars, the real work begins. The next step is to brainstorm content series and franchises that maps back to each priority. As you go about defining your pillars, remember that it’s not always about volume and quantity. Knowing how to program (when and why you’re publishing) is a huge key when trying to have breadth and depth in your content. Don’t just a check a box with each pillar; make sure you’ve really nailed a concept(s) that does the pillar justice and will also resonate with fans. And finally, I think it’s important to remember that not all engagement is created equal. Just because highlights are the best performing piece of content does not mean that’s the only type of content that should be shared. Content success should not always be measured by engagement. Set the table for what success looks like well beyond vanity metrics. That way, the team will be more enthusiastic and empowered to try new things. Remember, the goal of this exercise is to go beyond the scores and find the sharp points that make your brand unique. It helps to give focus on what’s important and pushes the team to focus on breadth and depth in the storylines. Teams and programs represent a lot more than just a game. Take the time to define and execute on a vision that brings the full picture to life. What does a team (or league) stand for beyond the scores? This, I believe, is one of the most important questions marketers in this industry should be asking right now. In a time where it’s easier than ever to activate, we have lost a bit of marketing magic. Teams push, sell, scream and beg for a transaction. The focus has become too centered around the final product; the game. Marketing, especially with digital, has become about scores, big plays and “winning the internet”. The scores and the highlights are part of a team’s story of course, but they should be a piece of the puzzle and not the sole focus. Otherwise, there’s little distinction between team A and team B beyond performance. The result is a sea of sameness among sports teams. More than ever, we need an emphasis on “brand” in sports. We need to move beyond the idea of “just a team” and into the idea of “a powerful brand”. Sports are not just a game. They are an emotional vehicle for people that provide community, distraction, hope and belief. This might sound cheesy, but it’s true. People don’t get tattoos of their favorite team because of the points scored. They get a tattoo because it means so much more. This video below from Steve Jobs on their Think Different campaign captures the essence of what brand marketing is about. As Steve says, it’s about values. It’s about being clear what your brand stands for and what you want consumers to take away about it. More than that though, Steve nails it when he says “even a great brand needs investments and caring if it’s going to retain its relevance and vitality”. It’s this idea that really hits home with sports. Sports is an industry where people genuinely care about the product. We’re lucky in that regards. But sports have taken for granted the emotional connection fans have to teams, the game, etc. It’s short-sighted to not invest in a team as a brand. In a world where consumers have more choices and distractions than ever, the emotional connection with a team matters. The intangibles — beyond the scores — are what separates your product from every other entertainment option. What makes a team different from the next? What are the values associated with the teams, ones so deeply rooted that fans feel proud to be associated with it? It’s time to start defining teams as brands beyond the scores, beyond the court, beyond the field. Because in the long run, the “it factor” and that emotional connection … it matters.